I'm working on a site, where a web part I'm building takes the name of a custom list type as a property when editing the web part settings. The "List" that this visual web-part is designed to display, comes from a List template that is also installed into SP (Currently 2010). Iv'e already figured out how to tell that the list assigned is "GenericList", but what I actually need to know is the specific list type. I'm obtaining this property from the SPList object type that I have for the list specified by the user. In case anyone wants code... here you go. 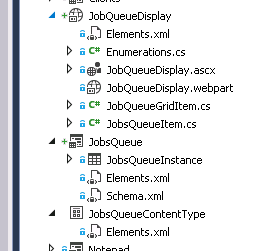 In my solution, there are several custom List Templates added, and I need to know that the user has selected EG "JobsQueue" type, rather than "PaymentQueue" type. All I can see so far is "list.BaseTemplate" which is how I know that the list is a Generic/Custom type, now I just need to figure out which custom type. I'm doing this for good error handling, so that my visual component doesn't crash if a List type is assigned that doesn't have the correct list structure that it expects. Any pointers on the best way to this greatly accepted. 1) Add a taxamony metadata field on the list definition (I'm developing these lists and Web parts in Visual Studio 2015), then when I check the table type, just simply look for the metadata marker, to know the list type. 2) Alter the list type ID's in feature-elements.xml and then look for those ID's in the base type ID to determine the list type. So after much more reading, and researching, and breaking things then fixing them again. I think I've found what to me seems like a better method than scanning field names, I'll add an answer for it soon. If found, then it is your custom list. As the update in my comment mentions, I've come up with what in my mind is a slightly better way to handle this. I'm creating the list definitions in visual studio, so they get installed at the same time as the web parts etc. I kept thinking about this concept of "Meta Data" that my friend was on about, and then it occurred to me that I'd seen it used a great deal when reading about content-types last week. As you can see, that means I create a web-part, a list +instance definition and a content type for each list/scenario. In the content type, I give it an easy to recognize, but unique name. And I don't add any columns to the type, as I'm not actually going to use it's fields, they are already defined in the list definition. 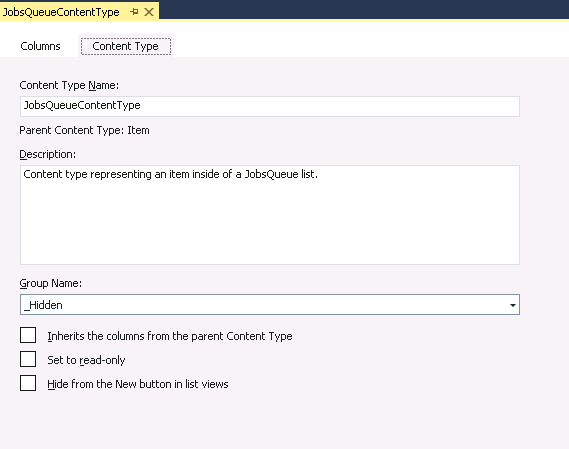 Once the content type is defined, I then add that content type, to the content types assigned to the list. But, notice I DON'T set it as default, as I say, i'm not actually interested in using it's definition, as that's what the list itself is for, and if you set it as default, you'll loose the standard ability to use the generic list add/edit functionality in the base sharepoint product. 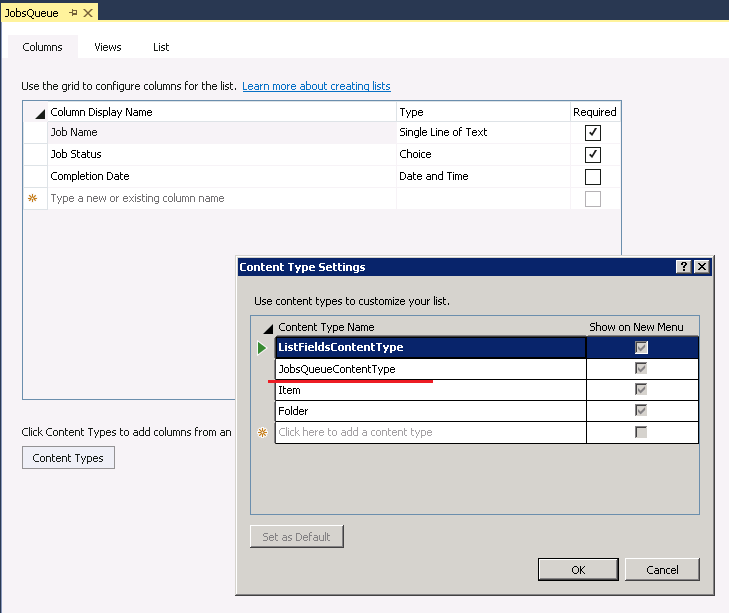 Once I have this content type added, any list that is then created in SP by a user/admin is automatically tagged with this, if they use this instance to create the list in the create dialog. It's still a similar process to scanning the field names, as my first attempt was, and as others have suggested/hinted at, but I think it's nicer, because we are only ever looking for one string, that is not impossible to change, but certainly harder or least likely to get changed, than a field name. Not the answer you're looking for? Browse other questions tagged 2010 sharepoint-foundation custom-list splistitem visual-web-part or ask your own question. How to Add Data Field to Existing Custom List Form?